Tiny homes, small, portable houses that average 300-400 square feet, are becoming increasingly popular across the country. Recently Mount Madonna School (MMS) seventh graders learned more about tiny homes during their mathematics class, with the creation of very tiny, three-dimensional, scale-model houses. 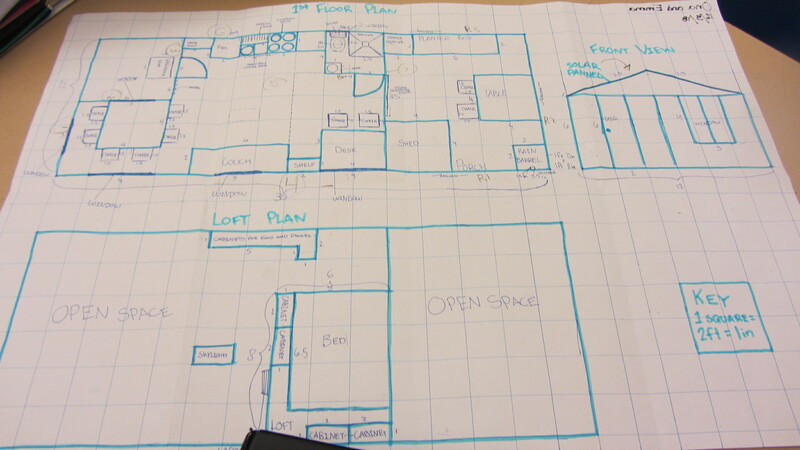 Their first steps involved calculating the square footage of their home, determining the types and amounts of materials they would need, as well as the total materials cost. 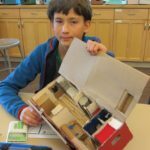 The students were assessed on the sustainability, home features, engineering and the overall aesthetic design of their tiny houses. The students had to research types and cost of flooring, and the cost, scaled up, for a real house. Finally – and importantly – students had two additional criteria for their project: a small “footprint,” between 100 and 400 square feet and a maximum of 8.5’ high by 12’ wide by 40’ in length in order to make the tiny home street legal. 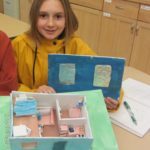 The homes would need to include a kitchen with refrigerator, stove and sink; a bathroom with composting toilet and shower, a bed/sleeping area and dining table with seating. 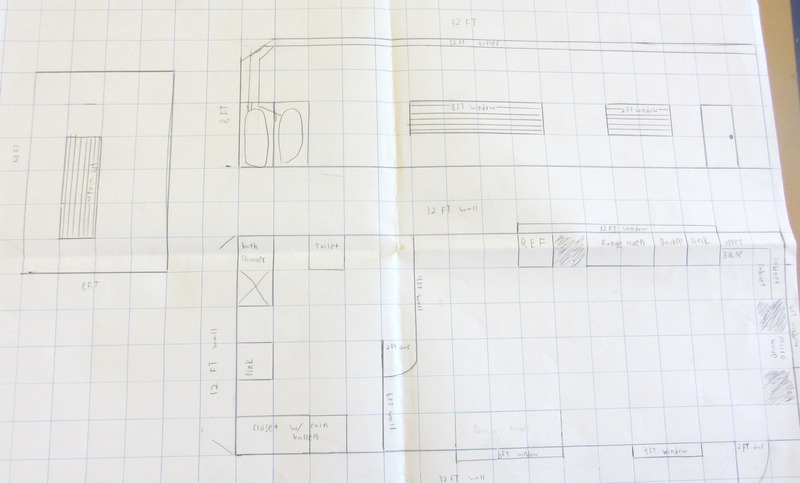 Students were required to draw their blueprints to scale using architectural symbols, with half an inch equaling one foot. 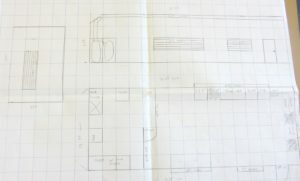 Students were introduced to architectural blueprint symbols for walls, windows, doors with the swing direction, sliding doors and door placement. 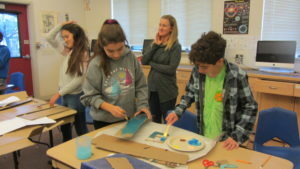 They also learned about symbols for showing placement of features – including sinks, dishwashers, stoves, ovens, washer and dryers, toilets, showers, tubs, and lighting. 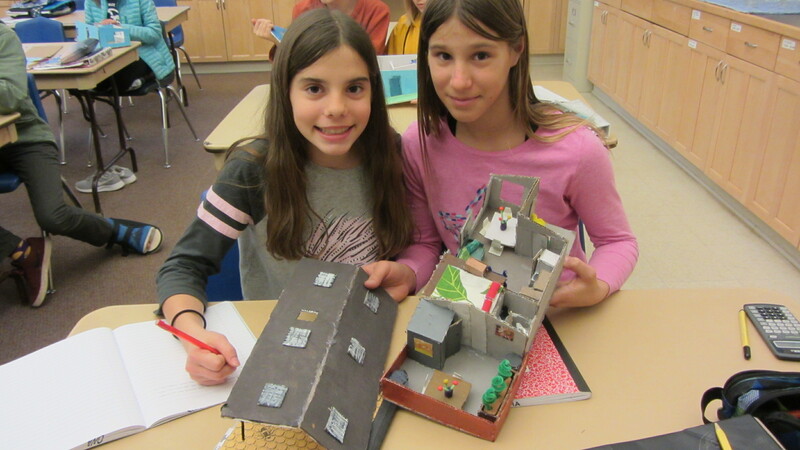 Once the homes were completed, they did a “gallery walk” through their classroom, and shared feedback with their peers. 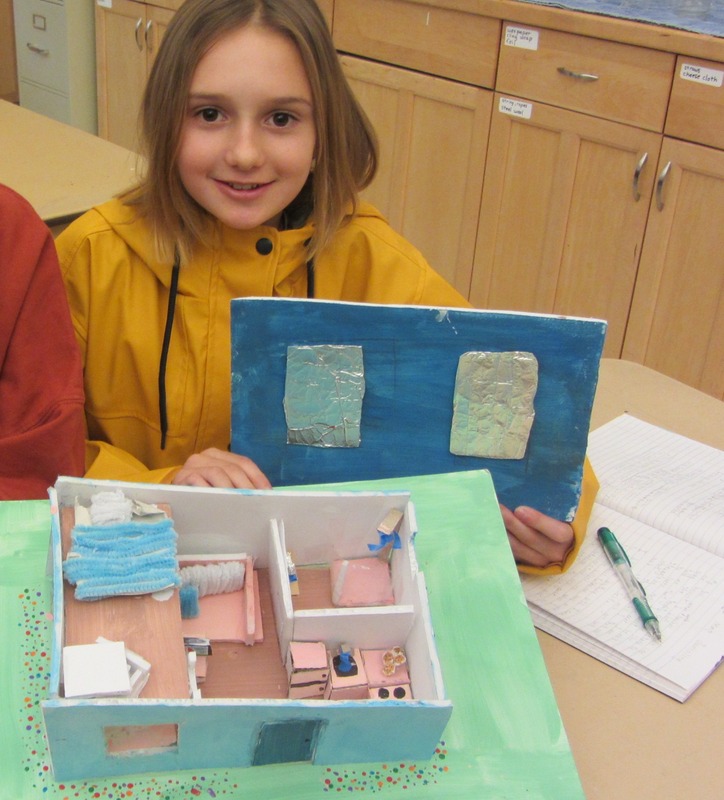 Using sticky notes, students could tell their classmates what they liked about their tiny homes, share any questions they had, and offer suggestions for improvement. 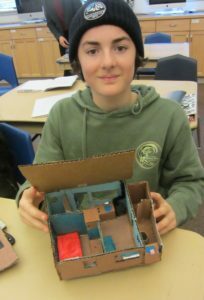 At least a couple of students took the feedback to heart, and took their houses home over the weekend to make some changes. About half of the students in the class said they had been inside an actual tiny house before. 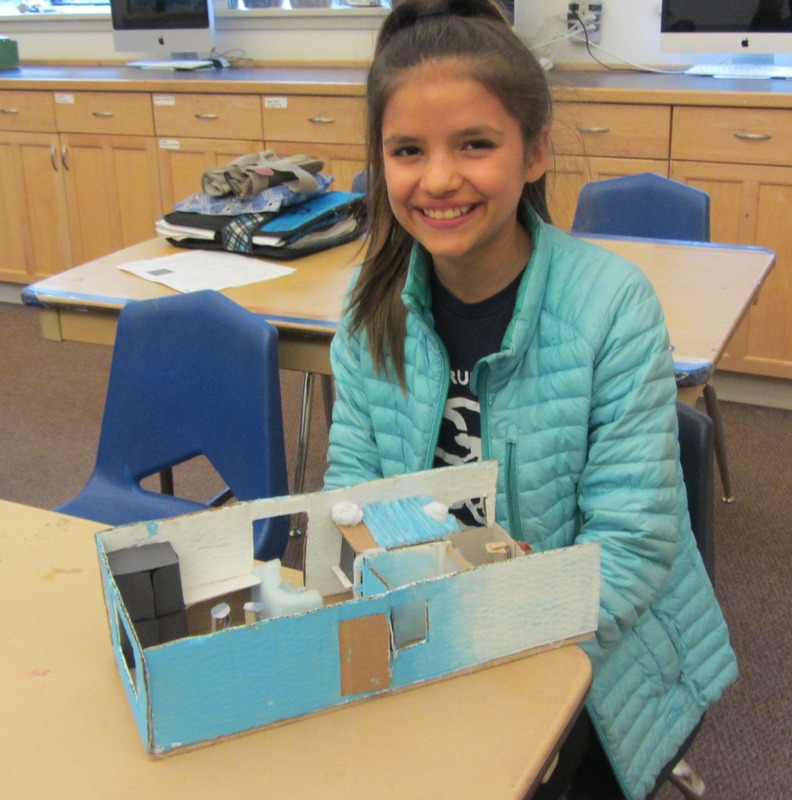 Seventh grader Josie Moran said the “cozy space” made her feel safe, and she appreciated being able to collaborate with a partner on the project. 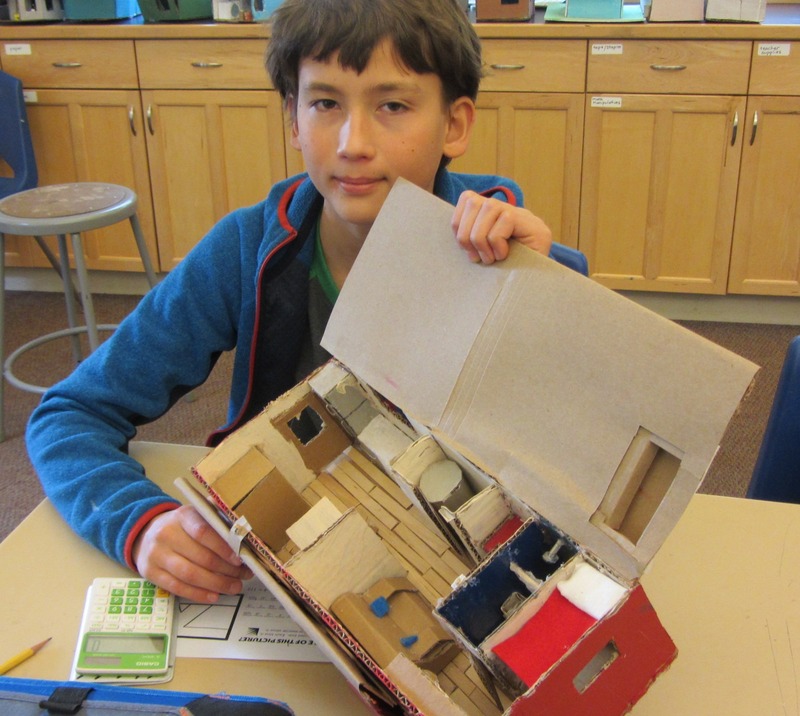 “My dad has built a couple of tiny houses,” noted classmate Cooper Padilla. “It was really cool seeing the process up close and what goes into it.